Each year, FCSSC and the United Nations Industrial Development Organization (UNIDO) jointly organize an annual “Belt and Road Initiative: Developing Green Economies for Cities” forum in Vienna. Mr. Cai E’Sheng, Chairman of FCSSC attended ribbon-cutting ceremony of 2018 BRIDGE for Cities, Belt & Road Initiative: Developing Green Economies for Cities. Mr. Cai E’Sheng, Chairman of FCSSC and Li Yong, the Director General of UNIDO were holding a bilateral talk. FCSSC, Development Research Center of the State Council of the People’s Republic of China and UNDP jointly host the annual “SILK ROAD FORUM” in different countries. The 2016 “SILK ROAD FORUM” was held in Warsaw, Poland. The 2018 “SILK ROAD FORUM” was held in Paris, France. FCSSC organizes the annual “South-South Cooperation Financial Forum” in Hong Kong. The first forum, named “Belt and Road: Financial Integration and Credit Enhancement”, was jointly hosted by FCSSC, UNOSSC, and PBCSF. First “South-South Cooperation Financial Forum” was successfully held in Hong Kong in December 2017. Second “South-South Cooperation Financial Forum” was successfully held in Hong Kong in December 2018. 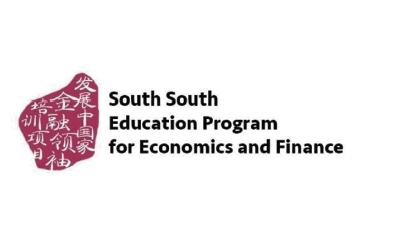 Within the framework of South-South cooperation and “Belt and Road”, FCSSC organizes the annual “South-South Education Program for Economics and Finance” in Tsinghua University People’s Bank of China School of Finance. The Program aims to facilitate the exchange of financial talents from developing countries as well as to train future financial elites of the Global South. The Program has been successfully running for three years and attracted more than 70 participants from over 50 developing countries and districts on five continents, including Deputy Minister of Finance of the Republic of Namibia, chief economists of the Central Banks of Bangladesh and Costa Rica, Advisor to the President of South Africa, etc. “Youth Leadership Initiative” is an important move in building partnerships of South-South solutions for sustainable development. The original intention is to cultivate young leaders with a broader global perspective and the ability to promote change through customized on-site learning and leadership development solutions. After the training, young leaders will go back to their home communities and institutions to serve the others by providing related training and guidance, as a way to gradually promote those necessary changes needed for the realization of sustainable development goals. Dr. Wu Zhong participated to launch the "Youth Leadership Initiative" in the "Global South-South Development Expo 2017" held in Turkey.